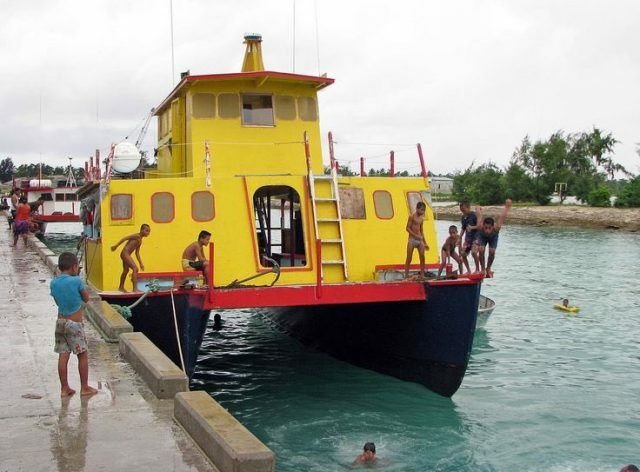 The 17.5 meter long wooden catamaran ferry Butiraoi was reported missing in the Pacific Ocean in the Kiribati Islands. The Butiraoi had departed from Nonouti on January 18 bound for Betio. The voyage of 160 miles typically takes 2 days to complete failed to arrive on January 20. A search began for the missing vessel including aircraft from New Zealand and Fiji. Reports state no signs of the vessel or the 50 persons on board as of January 26. The search includes many small atolls in a wide area. Additional reports state the catamaran had undergone repairs to its propeller shaft just before departing Nonouti. 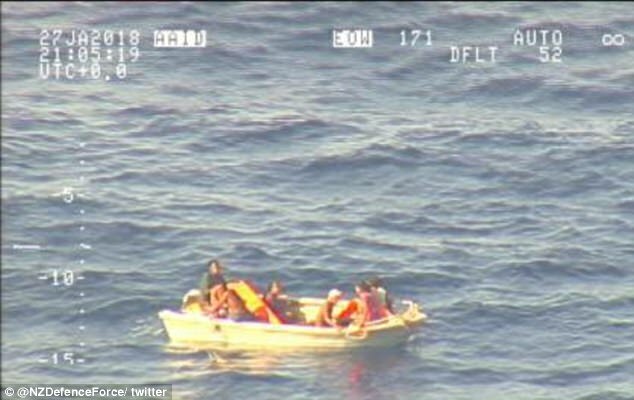 A New Zealand aircraft spotted seven survivors in a small boat on a search on January 28. The aircraft dropped supplies to the survivors while authorities requested assistance from vessels in the area. The fishing vessel Lomalo which is 92 kilometers away from the survivors is expected to reach the survivors later the same day. Survivors have told authorities over radio that the ferry had lost stability and capsized. They had little time and had just enough time to get into the small dinghy before the ferry sank. The dinghy had no engine or water on board. Reports state additional debris has been spotted in the search area. 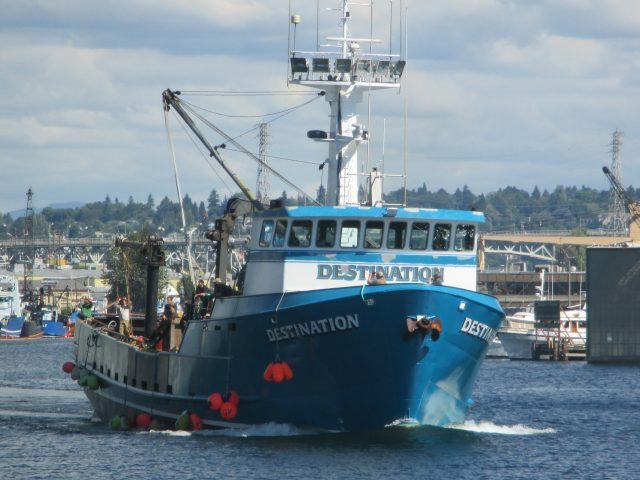 On February 11, the 98 foot long fishing vessel Destination was reported missing and presumed lost in the Bering Sea northwest of St. George Island, Alaska. The Coast Guard received an automated EPIRB signal (Emergency Position-Indicating Radio Beacon) from the fishing vessel around 7:15 a.m. Saturday morning. The Coast Guard dispatched helicopters and directed two nearby vessels to search for the Destination. Citizens on St. George Island began searching the shoreline for possible survivors or any signs of the fishing vessel. By 10 a.m. the beacon was found in a debris field that included a buoy and life ring that had the fishing vessel’s name on it. An oil sheen was visible in the water indicating the vessel may have foundered in the vicinity. Conditions were reported to be typical in the area with snow showers, waves reaching 2 to 3 meters and winds gusting up to 30 miles per hour. 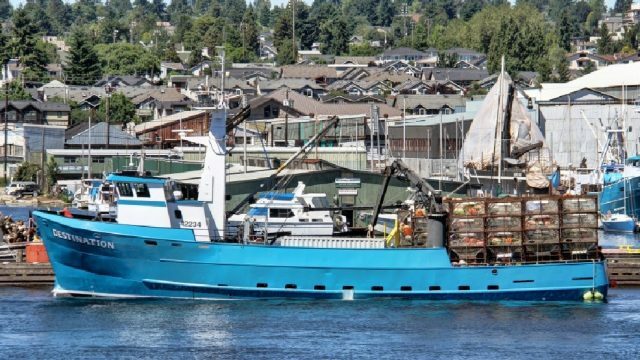 The Coast Guard confirmed there were six crew on board the Destination when the vessel departed from Seattle. A Coast Guard cutter from Dutch Harbor was dispatched and expected to be on site to aid in the search and rescue efforts. The 242 meter long, 14971 dwt container ship El Faro went missing off Crooked Island, Bahamas. On September 29, the El Faro departed from Jacksonville, Florida bound for San Juan, Puerto Rico on a four day voyage with its 33 crew. The following day a tropical storm intensified into Hurricane Joaquin. Hurricane Joaquin increases intensity on October 1 with winds reaching up to 120 miles per hour. The El Faro continued on its heading into the hurricane. Later in the day, the crew reported the container ship had suffered water ingress and lost power as it passed Crooked Island. 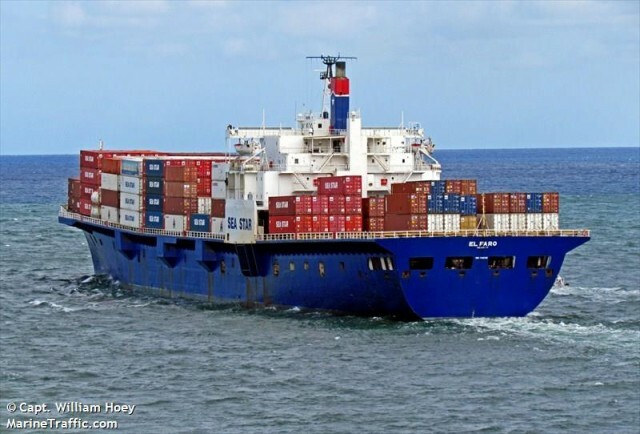 One crewman on the El Faro sent an email stated the vessel had sustained a list and continued to suffer water ingress. Soon after communication was lost with the El Faro. On October 2, the Coast Guard dispatches a cutter along with helicopters to begin a search for the El Faro. The initial search was unable to find any sign of the vessel. The search continues on the following day when a life ring is spotted in the water near Crooked Island. The search continues into the third day when the Coast Guard finds a debris field and oil sheen on the surface. A container is also spotted and it is latter identified coming from the El Faro. Search and rescue continues when the Coast Guard finds the body of one of the crew members of the El Faro. Reports state the crewman was wearing a survival suit. The El Faro lifeboat is later found empty.